herding cats & burning soup: Cover Reveal: Making Thyme by TJ Hamilton + giveaway! 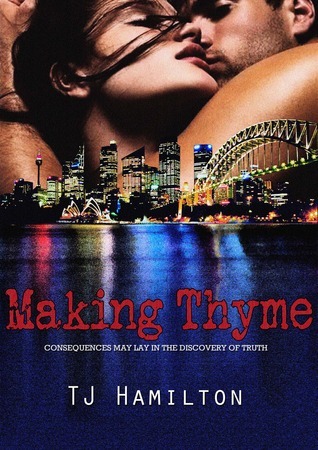 Cover Reveal: Making Thyme by TJ Hamilton + giveaway! She may have left prostitution, but can Mia face the demons of her past? Now working for a different kind of Agency, with a new set of rules and a new life. There is so much to learn in so little time. The world of espionage is not too far from the secret life of prostitution that she’s trying to leave behind. Can she withstand the mental and physical training that’s involved in becoming a secret agent? Agent Nick Davis is Mia’s mentor. He’s also all that she desires. He is everything she ever wanted in a man and he is the one person who understands and accepts her. She may have known him before but the more she learns about him now, the more she loves. Their love may grow stronger by the day but is it strong enough to survive her return to Tench? Her quest to find the truth about Sally may continue to lead her further into the dark life of crime boss Joe Tench. While at the same, time his obsession for her is developing into something sinister. Can she discover what evil he is orchestrating in time before he discovers the truth about her? And book one, Buying Thyme, is on SALE right now for only 99cents! So, have you read Hamilton? Do you like edgy reads that push boundaries?